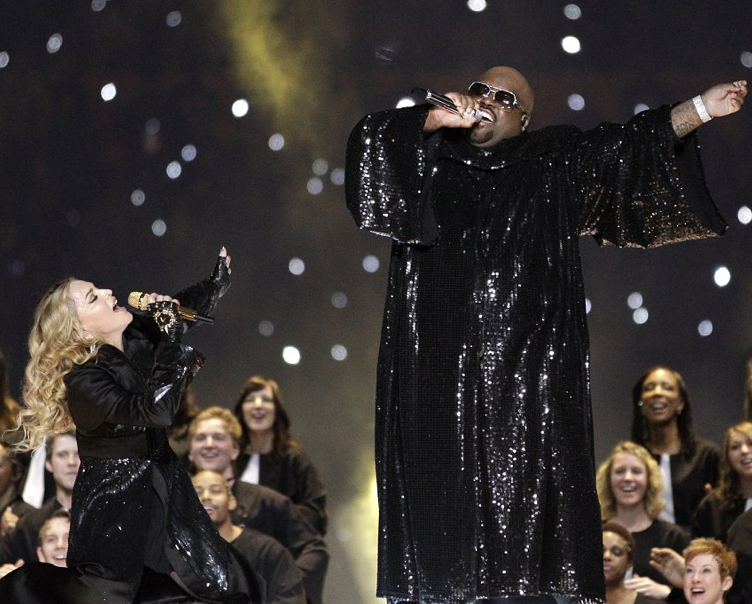 Madonna steals Super Bowl XLVI’s spotlight, with a Pose, a Prayer, and a Finger. Ok, clearly did we have any doubt that Mad Maddy couldn’t blow it out of the ball park “so to speak” Umm, no! 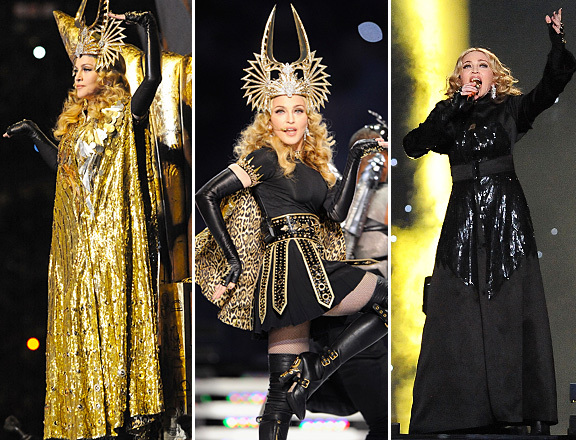 Madonna’s much-anticipated performance of SUPER BOWL XLVI was toping the talk, considering the amount of press Madonna gifted us with weeks leading up to the game. which was so graceful in giving all of America the finger, causing NBC to blur the scene about 3 seconds to late. the 30 second delay should have been pushed to at least 45, its Madonna, COME ON, havent we learned anything from Madonna’s 30 year reign. Even the Vatican was smart enough to Ban her from Rome in 1990.
then, perhaps my favorite part of the show, and I might say the perfect way to end this performance, Like A Prayer and its WORLD PEACE theme, was amazing! Cee Lo brought it down with his soul enriched voice, and Madonna rolling around on the floor, made me think back to when I had discovered Madonna for myself in the 90s…Totally Madonnafied yet again, and now I am really excited about the new Album MDNA which will drop in March. So much is surrounding this performance, seems people forgot to talk about the actual game, it really is amazing the star power Madonna has, in a mere 12 minutes and 46 seconds, she turned the entire focus of Super Bowl XLVI right on herself. #MADONNABOWL was the number 1 hashtag on twitter last night, bumping #superbowlXLVI to god’s knows what number! 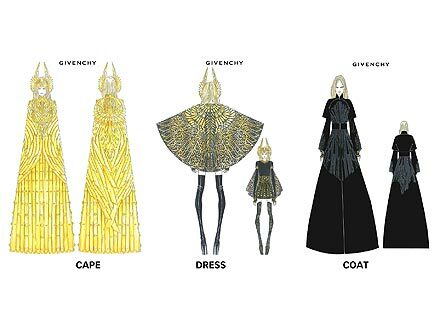 Aside from the music, all us style-istas were for sure drooling over her Givenchy by Ricardo Tisci, and maxing it all out with Bulgari.,Which completely turned my focus from Her extreme Auto-tuned voice, to her make shift Fashion Week Egypt of a stage! This entry was posted in | and tagged CEE LO GREEN, M.I.A., madonna, madonna halftime, madonna Super Bowl XLVI, madonna superbowl, MDNA, NBC, NBC SUPERBOWL, NY GIANTS, super bowl XLVI. Bookmark the permalink.